Storage Facilities: We have access to nearly 400,00 square foot of state-of-the-art storage space throughout the Tri-State area for your distribution and regional logistical warehousing needs. 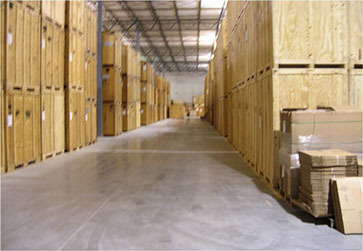 Our storage facilities are fully equipped with state-of-the-art fire, water, anti-theft and inventory systems. All four of our storage locations (Romulus, Traverse City, Mount Pleasant and Indianapolis) meet or exceed Military Standards.